Property investment in Brazil: EcoHouse put on MAS watchlist! The Monetary Authority of Singapore (MAS) has placed the EcoHouse Group - a Brazilian-based property development firm which builds investor-funded housing for Brazilian families - on its Investor Alert List (IAL). The IAL is a list of unregulated entities that may have been wrongly perceived as being licensed or authorised by MAS. Since September 2011, EcoHouse has attracted more than 1,500 local investors, who put in a total of S$65.55 million in its Brazilian property development projects. EcoHouse was founded in the UK in 2009 by Anthony Armstrong Emery. It constructs low-cost community homes in Brazil under the local government's Minha Casa, Minha Vida (My House, My Life) programme and has delivered more than 2,000 homes in Natal, a city in north-east Brazil. EcoHouse's website indicates that its community homes are financed by private investors. 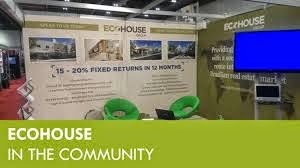 For a minimum investment of about S$49,000 per housing unit, EcoHouse offered investors a 20% fixed rate of return for a 12-month contract. EcoHouse said that it is one of the few foreign developers to be authorized by the Brazilian government to develop houses for the federal home-building initiative, which qualifies the company to receive government subsidies and tax incentives. In return, it is to offer homes for sale at a pre-agreed, competitive price to Brazilians. EcoHouse was apparently flagged by MAS after several complaints from investors who claimed that they have not received their returns or their capital despite their contracts reaching maturity. The wife and I had actually pondered about putting money in EcoHouse when we first read about this investment opportunity in The Sunday Times back in March of last year. It was reported then that EcoHouse had netted S$70 million from Singapore investors for its Brazilian housing project. Another report had claimed that about 550 existing investors had pledged an extra S$28 million in just a matter of hours, while attending special presentations to mark the opening of EcoHouse's new office at Suntec City in February 2014. The Company's CEO had invited investors to keep their minimum capital outlay with EcoHouse for three years rather than one and receive immediate 20% returns. Although investors were under no obligation to accept the longer term, there was reportedly an overwhelming response to the offer. The investment was also supposedly endorsed by several prominent local property websites and investment group. But given our zero knowledge of the property market climate in Brazil, we eventually concluded that it may not be prudent to make the investment. And given the distance (and hassle), we will probably not be going to Brazil in any foreseeable future. The wife and I also recalled asking ourselves aloud if the 20% fixed return after 12 months was realistic, as it sounded too good to be true. Since we decided to drop the idea of investing into EcoHouse, we had stopped following developments and reports about this investment until we saw the newspaper articles in the local newspapers today. The wife and I wonder if the above was sufficiently communicated to prospective investors before they invested. The offer was supposedly for a "20% fixed rate of return for a 12-month investment contract". So was the bit about "the 20% return is only paid upon the completion and sale of the property" made clear to investors? 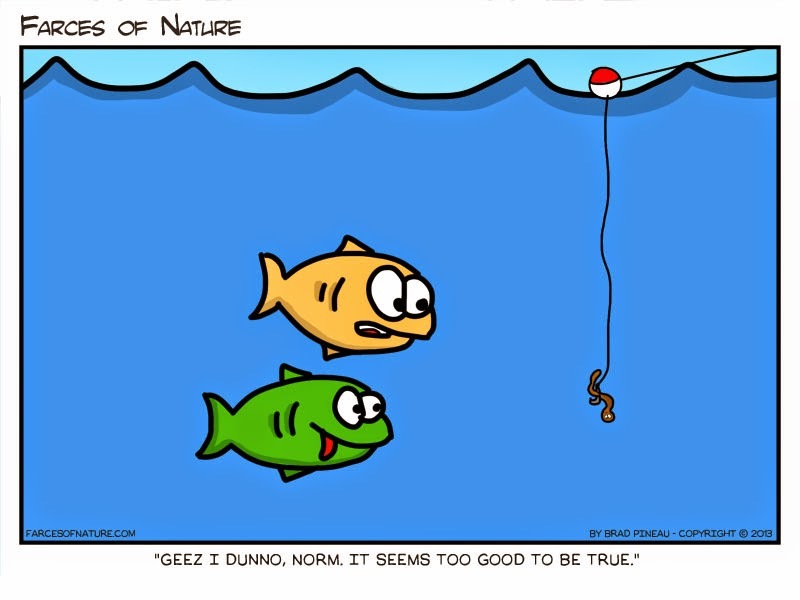 It is fine and well to say that the worse case is for investors to end up with the land and property if the Company cannot find enough Buyers, but the challenge (as pointed out in the ST report) is for the investors to sell the property that they are now stuck with, given the unfamiliar market and environment. And from what we can gather while scouring the Internet this morning, many market watchers believe that Brazil is heading for a real estate bubble. This translates to further downside risks to the investors. The wife and I felt compelled to write this piece because of all the recent hype to invest in residential properties in Brazil, largely brought about by the World Cup and the upcoming Rio Olympics in 2016. While "first mover advantage" is often being touted when comes to property investment in new or upcoming markets, it may backfire on you if you do so with little/no knowledge of that market. This is especially when the investment is thousand of miles and several plane-transits away. 1 comment to ''Property investment in Brazil: EcoHouse put on MAS watchlist!" hi all, read the comments in this blog to find out more about EcoHouse.